Aspen assisted the California Energy Commission with the Staff Assessment for the Abengoa Mojave Solar Project. Aspen prepared the analyses for the following issue areas: Air Quality, Alternatives Assessment, Biological Resources, Geology and Paleontology, Hazardous Materials, Land Use, Public Health, Socioeconomics, Traffic and Transportation, Visual Resources, Water and Soil Resources, and Worker Safety. The Energy Commission approved the license for this project in 2010. The project is a nominal 250-MW solar electric generating facility to be located near Harper Dry Lake in an unincorporated area of San Bernardino County. 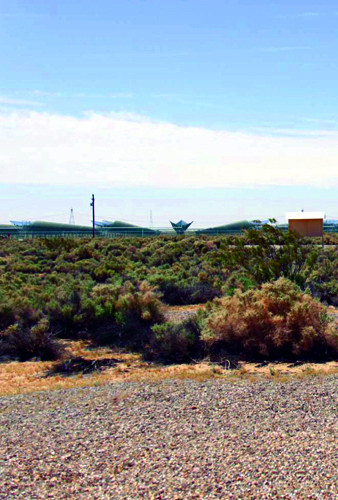 The project is located approximately halfway between Barstow and Kramer Junction, and is approximately nine miles northwest of Hinkley. The project will implement parabolic trough technology to solar heat a heat transfer fluid (HTF). This hot HTF will generate steam in solar steam generators, which will expand through a steam turbine generator to produce electrical power from twin, independently-operable solar fields, each feeding a 125-MW power island. The sun will provide 100 percent of the power supplied to the project through solar-thermal collectors; no supplementary fossil-based energy source will be used for electrical power production.